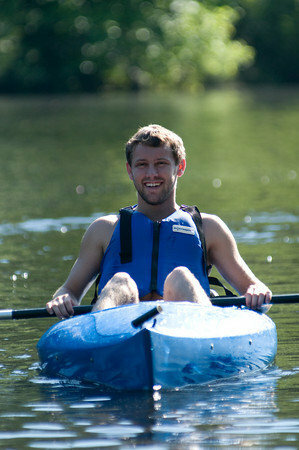 Josh Cagliani has a passion for helping children with Type I diabetes and spending time in the outdoors. 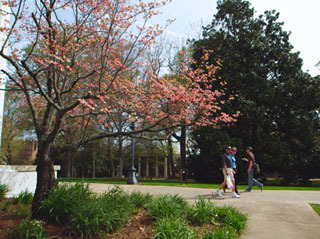 He is able to blend these two interests as a master’s student in the recreation and leisure studies department at the University of Georgia’s Graduate School. Cagliani decided to immediately pursue his master’s degree after earning his undergraduate degree in magazines from UGA’s own Grady College of Journalism and Mass Communications. For him, the decision to attend graduate school was easy. Cagliani always wanted to attend UGA for his undergraduate studies, since he is a Georgia native. Attending UGA’s Graduate School was a perfect option, since he could continue living in Athens. Even more importantly, the UGA recreation and leisure studies department is highly regarded across the nation for its programs. As an undergraduate student, Cagliani says some of his favorite memories are the fall football games, where he could interact with other students and faculty while cheering on the bulldogs. As a graduate student, Cagliani still roots for the bullogs, but says the best part of graduate school is the high level of involvement with activities and community partners through of class assignments. To Cagliani, being involved in the community has led to many great opportunities outside of class that would not have happened without graduate school. 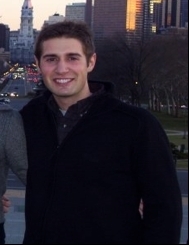 Students like Josh Cagliani shine brightly in the UGA Graduate School community. The Graduate School is proud of their hard work and dedication. Don’t miss your chance to hear from an accomplished civil rights activist at this year’s Mary Frances Early Lecture! As the first African-American to earn a degree from UGA, Mary Frances Early was a key contributor to the Civil Rights Movement. Recognizing her as a avid activist in fighting discrimination, the university honors her impact on the institution and the nation at large by holding an annual lecture in her name. 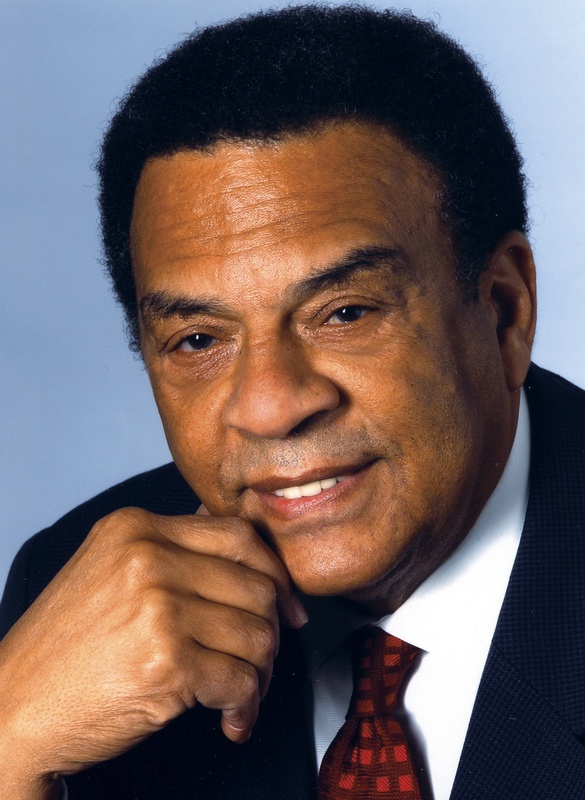 Andrew Young will deliver the tenth annual Mary Frances Early Lecture for the Spring of 2010. Having been a former ambassador to the United Nations and Civil Rights leader, no individual seems better fit for this year’s guest lecturer than Andrew Young. To name a few of what seems to be an endless array of accomplishments, Young acted as top aide to Dr. Martin Luther King during the Civil Rights Movement in the South, served on the House of Representatives and Member of Congress for the 5th District. More recently, Young has been traveling around the world to help developing nations rebuild their economies. The lecture will be given on April 6 at 4 p.m. and will be held at the UGA Chapel. The Masters of Fine Arts Thesis Exhibition, takes place March 15 – April 7, 2010, in Gallery 307, Lamar Dodd School of Art. The student- generated art exhibition opened with a gala reception on Friday, March 19. Get involved in campus life and support fellow grad students by attending the GSA candidate forum tonight! The meeting will take place this evening from 6:30 to 7:30 in room 213 of the Miller Learning Center. At the forum you will hear from 8 graduate students running for the President and Vice President positions of GSA. Each candidate will give a short speech highlighting their platform, focusing on key issues facing graduate student, and offering possible solutions to the issues addressed. At the end of each speech, the current president of GSA as well as the audience will have the opportunity to ask each individual up for candidacy questions pertaining to his or her platform. In addition to learning more about the candidates for GSA, the forum will be followed by a short presentation by GSA’s current president on UGA’s current budget cut and its possible implications on graduate students. Please note, voting for GSA will open Thursday, March 25 at 5:00 p.m. on Oasis, and will close Thursday, April 1 at 5:00 p.m. If you are interested in learning more about the candidates or want to RSVP to the facebook event, please click here. The Graduate School Association’s Interdisciplinary Conference is this weekend! Let us know if you attend and your thoughts. Another reason to celebrate the UGA Grad School is because of the excellent options for graduate housing. It is not easy to move to a new town and find a safe, affordable place to live. However, the graduate school makes it easy for students to find the optimal living situation. Graduate housing offers three different complexes: University Village, Rogers Road, and Brandon Oaks. These complexes contain one and two bedroom apartments located on the UGA campus. Prices range from $337-$583 per month. These prices include basic appliances, water, trash, cable and internet. The options available to graduate students tailor to the need for convenient, cost-effective living. Check out the Graduate Housing Web Site for more information. There can’t be a blog about loving the UGA Grad school without talking about Athens! 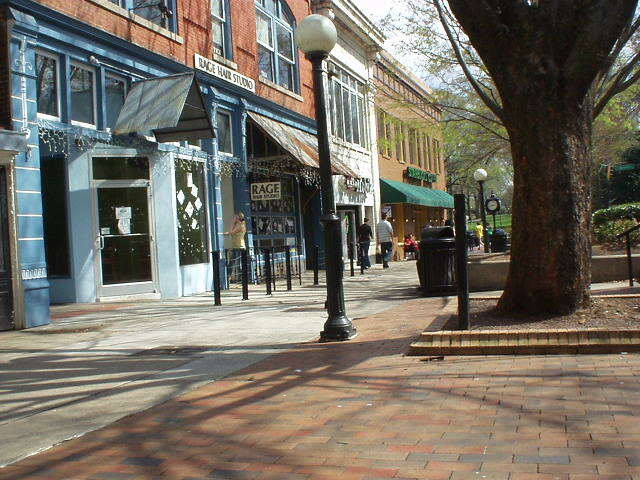 The best college town, it has a ton to offer, a deep history, and makes for a beautiful home. With a population of just over 100,000 and also known as “the Classic City,” Athens is as much UGA as UGA is Athens. 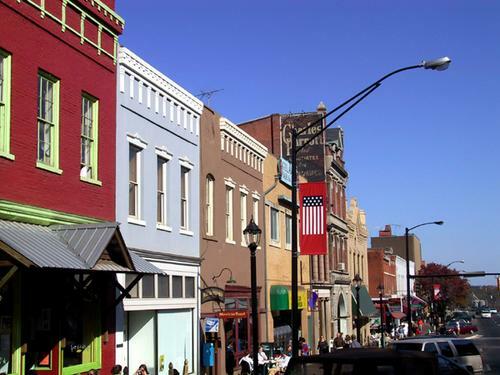 Whether you are looking for a night out on the town, theater, art, shopping, or just a bite to eat, Athens has it. Far from the only fun things you find in Athens, if you have favorites feel free to share with us!